Old time Ucluelet home set amongst other fishing village character homes. Area has heritage designation in OCP. 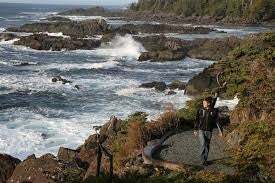 Fantastic view of Ucluelet inlet & surrounding mountains! Floor Area 1,120 Sq. Ft. Lot Size 3,800.00 Sq. Ft.